The most common reason for tooth looseness is pressure from clenching, grinding, and periodontal disease — a bacterial infection of the gum and/or bone tissues that surround and support your teeth. The infection results from bacterial plaque that sits on your teeth in the absence of effective oral hygiene. 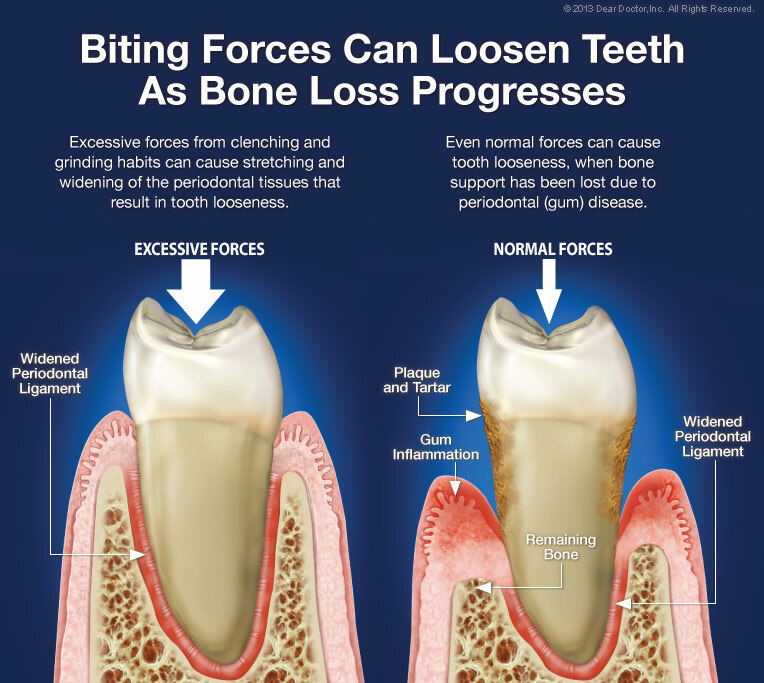 Over time, clenching, grinding and periodontal disease will cause gum tissue to detach from the teeth as plaque and tartar formation increases and tooth-supporting bone is lost. 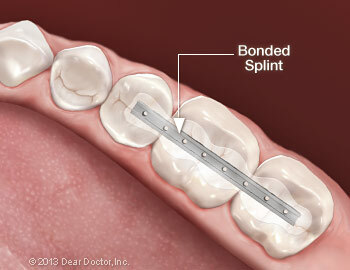 As more bone is lost, teeth gradually become loose and are unable to withstand normal biting forces. 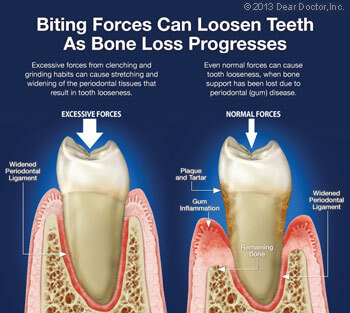 If severe periodontal disease remains untreated, loose teeth will eventually fall out.